Chicago is known as a city of neighborhoods — 77 of them to be exact. And an important part of the fabric of those neighborhoods are the classic Chicago restaurants that are loved by locals and visitors alike. From mom-and-pop spots to restaurants that have simply stood the test of time (not to mention culinary trends), you’re sure to find a place that will satisfy your search for a true Chicago eatery. Davanti Enoteca takes the warmth and ambience of a traditional trattoria and gives it a distinctively contemporary spin in the heart of the Little Italy neighborhood. A timber floor and ceiling, brick archways and linen clad chandeliers perfectly complement the fresh produce that is a staple of Davanti Enoteca&apos;s menu. Dine on seared octopus, pan-roasted seabream, porcini-rubbed 16 oz ribeye or the locals&apos; favorite, the Davanti Burger, with bacon jam, roasted tomatoes, cheese curd, arugula and roasted garlic aioli. R.J. Grunts was the Lettuce Entertain You food empire’s very first restaurant, opened in 1971 in Lincoln Park. The casual restaurant has kept its hippie-like vibe, with a fun menu of American favorites. Order the juicy Gruntburger topped with fried onions and bleu cheese, sided with a boozy hand-dipped shake. Or go healthy and load up at the salad bar that boasts more than 50 different options, including a steaming soup of the day. 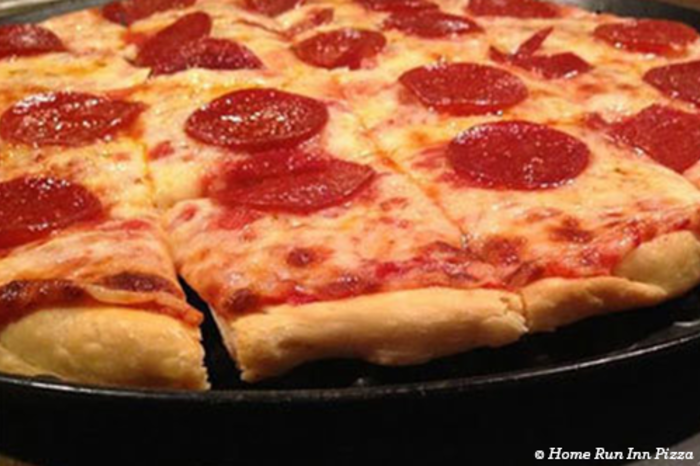 Chicago is a well-known pizza town, and one of its favorites is the thin crust version served up by Home Run Inn. The original location on 31st Street in Little Village was established in 1947, starting out as a tavern before growing over the years into the two-floor family restaurant it is today (and expanding to other locations around the city). Dough that’s made daily from scratch translates into a buttery pizza crust that can be topped with everything from turkey sausage to roasted garlic. Twin Anchors is one of Chicago’s oldest restaurants, originally opened as a corner tavern in Old Town in 1932. The quaint restaurant has a star-studded past, counting Frank Sinatra as one of its biggest fans and serving as the film location for several TV shows and movies, including Batman blockbuster The Dark Knight. Make like Frank and order a slab of Twin Anchors’ famed barbecue baby-back ribs with a side of house-made cole slaw. This combination candy shop and ice cream parlor is a Bucktown tradition. Opened in 1921 by a family of candy makers, Margie’s has satisfied the sweet tooth of generations of customers, along with celebrities like The Beatles (who stopped by in 1965 after playing a gig at the former Comiskey Park). 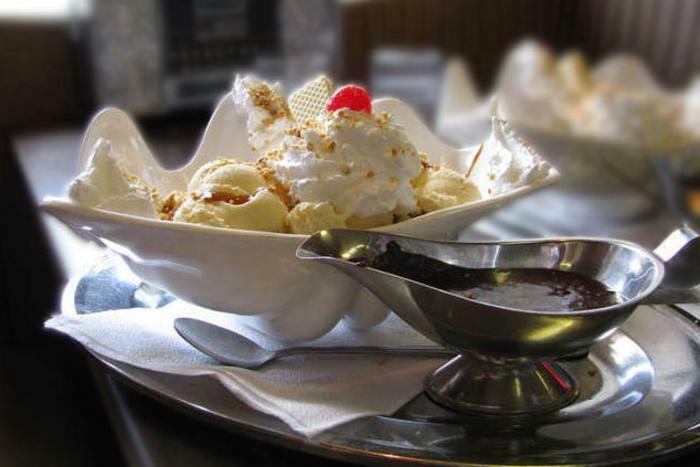 Ice cream confections, like the Swiss milk chocolate sundae, are served in Margie’s signature white clamshell dishes. Be sure to pick up a box of homemade candy on your way out! In 1945 Ann Sather left the corporate world behind to run this Swedish diner on Belmont Avenue in Lakeview. She created a beloved neighborhood spot known for its hearty homemade meals and warm hospitality. Although Ann has since passed (her portrait hangs in the restaurant as remembrance), her most famous dishes remain on the menu, including Swedish meatballs served atop noodles and addictive gooey cinnamon rolls that you can order to go. The Green Door, opened in 1921, is housed in a historic wooden building that was constructed shortly after the Great Chicago Fire. The name comes from the days of Prohibition, when a restaurant’s green door signaled that there was a speakeasy secreted inside. Today, this landmark River North eatery still features many of its original 1920s bar fixtures. 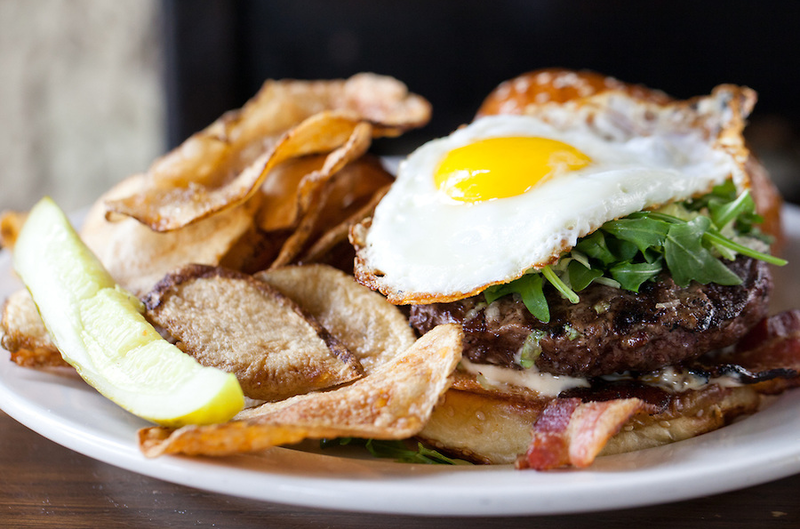 Try the Bootlegger burger, piled high with bacon, American cheese and an over easy egg, slathered with whiskey ketchup. Come to Hing Kee for the dumpling, stay for everything else. This welcoming Chinatown spot feature Chinese, Thai, and Vietnamese cuisines. The highlights are their house-made soup dumpling and hand-pulled noodles, which you can see being made as you sit in the cozy dining room. This charming restaurant has been part of the Boystown scene since 1982. Named for founding chef Yoshi Katsumura, Yoshi’s was a pioneer in French-Japanese fusion cuisine when it first opened. Though Chef Yoshi has since passed, his wish for the restaurant to continue has been honored. Try the wagyu beef dumplings or whole red snapper, and be sure to order one of the delicious desserts, like the chocolate opera cake. Founded in 1995, this Ukrainian Village restaurant ranked number one on the list of America’s 10 Best Secret Eats by Forbes Magazine. 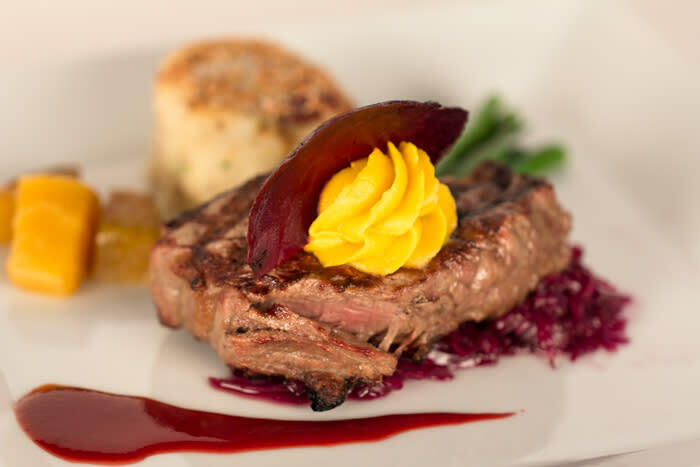 Influenced by regional Italian cooking, Chef Dan Bocik cooks up authentic dishes like saltimbocca (bone-in veal chop wrapped in prosciutto) and pillow-soft handmade gnocchi with browned sage butter. Feeling inspired? Take a Monday night cooking class with the chef himself!